Find out a litte bit about who we are and what we do. Our focus is on small to medium-sized businesses. 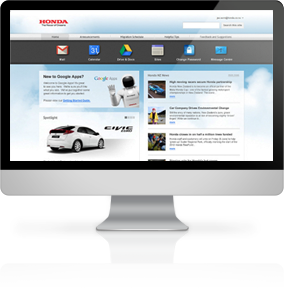 We can help you to clarify your needs to achieve the best web presence. We can assist you and your company through the whole process - bottom to top. We will only be happy if you are happy. We provide a world-class solution for web software based on Drupal CMF (Content Management Framework). We can create a custom software for your needs. No matter how big or small. A real web presence comes with a strong SEO (Search Engine Optimization). We specialise in on-site SEO, which can put you on top of Google and Bing results based in your city and your niche market. We guarantee our service with the best technology available for creating websites and web software. In fact, we apply the same technology President Barack Obama uses for the official White House website, As you can see here at http://www.whitehouse.gov/developers. All of the above is great, but without also understanding the client's needs it is all useless. The biggest challenge for Information Systems is not technology but the client's needs and expectations. When you contract with us you will receive VIP treatment, totally focused on solving your issues and making the whole web experience as pleasant as possible. Managing Director and Web Architect, Pedro O. J. Portella, began his career in IT (Information Technology) in 1997 at CREA-RS. In 2005, he earned a Bachelor of Information Systems from the University Centre Ritter dos Reis (UniRitter). Living in Auckland, New Zealand's largest city, since 2006, Pedro has provided his services as an employee for five different companies. During this time he worked on the website of the country's largest retail store, thewarehouse.co.nz. He also worked on the New Zealand government’s official website beehive.govt.nz. In Brazil, through pedroportella.com, Pedro developed and published the website for the College enrolments São Judas Tadeu (St. Jude) and created, developed and published the school's website wakeboard Wakesul: wakesul.com.br. Since pedroportella.com was established, Pedro has provided services for Honda New Zealand, Satellite Media, Webscope, Designworks, Colenso BBDO, Young & Shand, Vector, Olympic Software and Air New Zealand. More information about pedroportella.com, and Pedro O. J. Portella can be accessed through the following links: portfolio, services and pedro-o-j-portella. ♦ corporate affirmation of digital-presence (social network). For more info about Pedro O. J. Portella click here.